Many people think that one must sacrifice the things they love, to live in a tiny house. Or, sadly, that they must sacrifice DOING the thing they love doing, to live in a tiny house. This is simply not true and as our guest this week can attest to; even a multi-course meal is possible in a tiny kitchen on wheels. Our new-tiny-house-friend-and-guest this week, Carmen Rose Shenk, is a chef and an artist and the author of a recent cookbook devoted to sharing her ideas about how to cook amazing meals in minimal space. It’s true. You don’t really need that Robot Jar Opener gadget to make impressive dishes that everyone will swoon over. Carmen’s creations are PROOF that with a few fresh ingredients, a few utensils, and a lot of imagination; artistic and beautiful desserts are indeed possible! 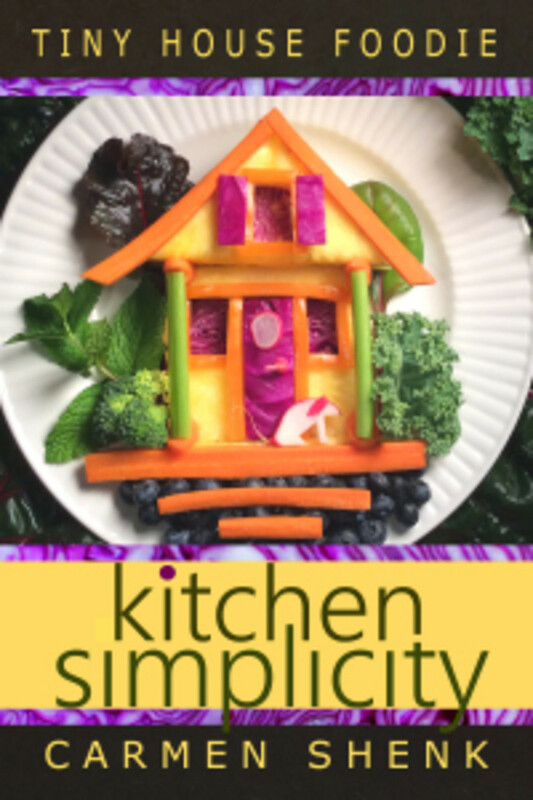 If you’re a foodie like Michelle is, we know you’ll love this week’s interview and maybe even come away with a few new ideas for your own tiny house kitchen!